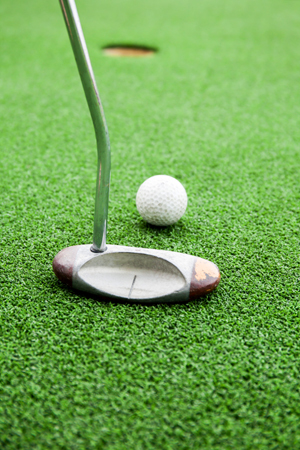 Are you tired of three putting and trying all kinds of methods to putt with hardly any success? Have you considered putting lessons? At Better Golf Shot, we fit and build custom putters for people all over the USA. So, we know all about the mechanics of putters. We also know putting and offer putting lessons over the greater Northeast, OH area. Our individual golf instruction for “Putting” helps give you a chance to make more putts by covering all six aspects that are the key to better performance on the course. The main item to remember about putting is to start your ball on-line and with the speed you want to hit it. The following focus will let you achieve it more consistently. We have all the putter tools and measuring devices. With a couple of key putter training tools added in fr good measure. And yes, we assess your putter fit, while providing lessons at the same time. We will observe you on a putting green and then on an actual course greens.